Our made to measure options let you customize the following : type of closure, embroidery colours and fonts, bow tie shapes and boxes. Scroll down below to see more details. Hybrid self-tied: Available for all bow tie shapes. 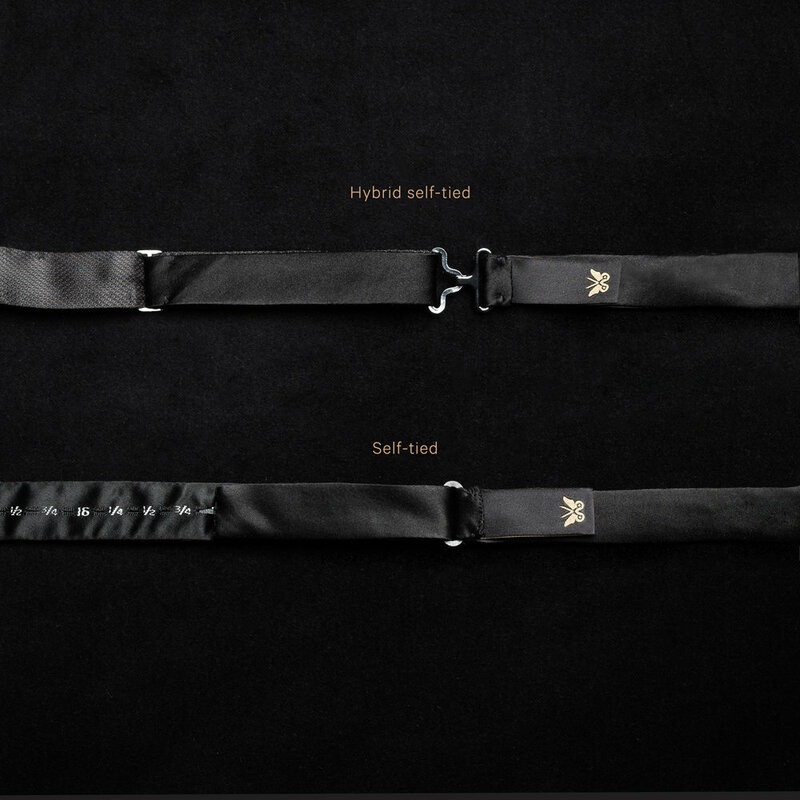 The hybrid option is a combination of pre-tied and self-tied. The bow is completely self-tied but delivered tied. The back is adjustable and detachable. Therefore the bow tie can be removed without undoing the bow. Self-tied (not available for the Vintage bow tie): This self-tied option is the traditional option. With an adjustable tape in the back, you must untie the bow in order to remove it and tie it back by hand. Letters: We can embroider any names up to 15 letters. The names are usually embroidered on the inside strap. 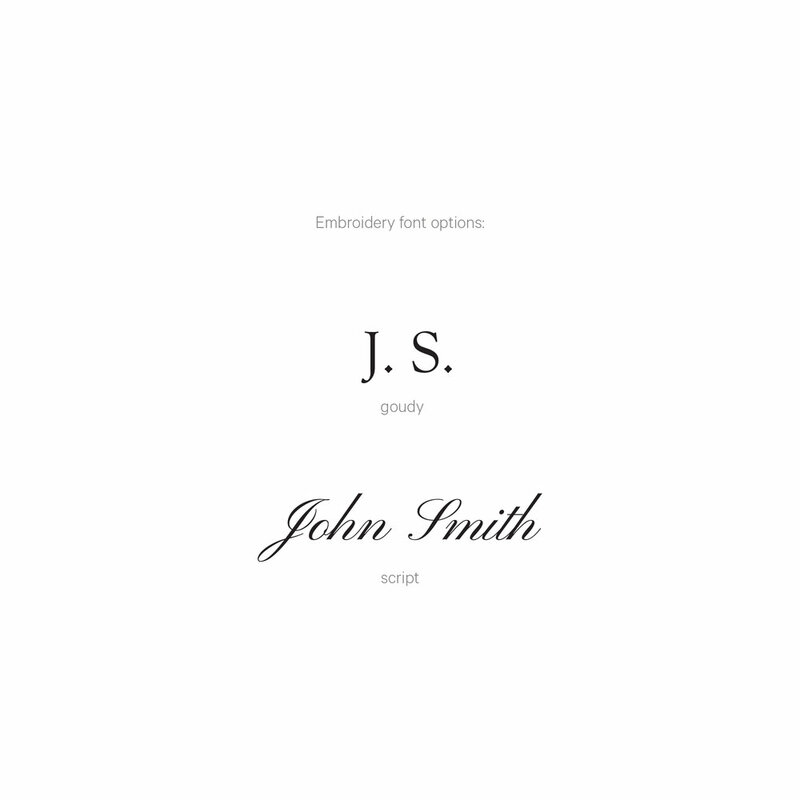 Fonts: Goudy and Script fonts available only. Colours: We can embroider your desired colours, we can also match the actual bow tie colour to create a tone on tone effect, or any metallic colours are also available. Please contact us for details or submit a request. 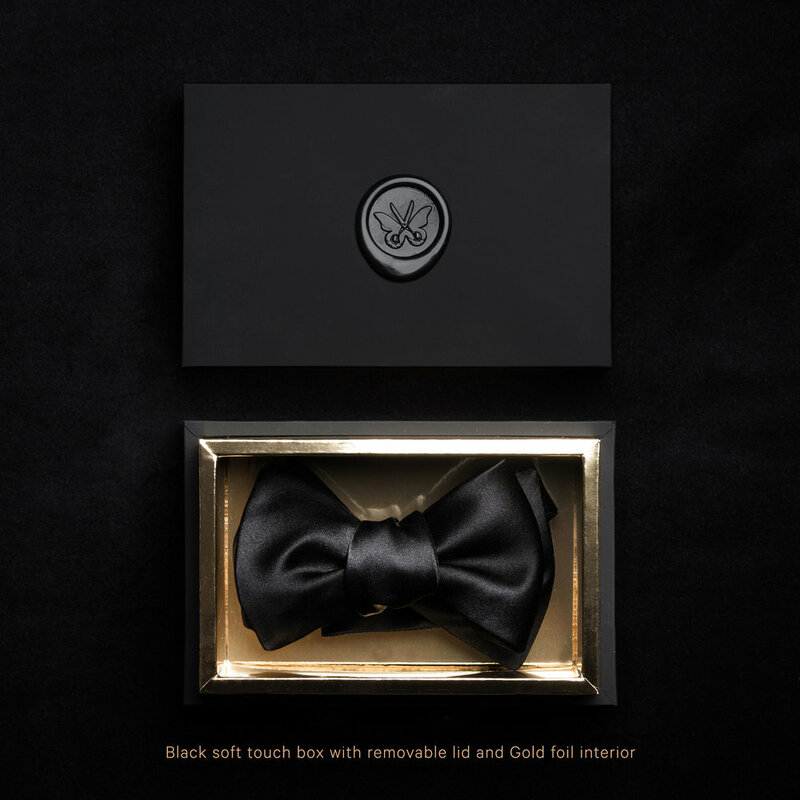 Black soft touch box with removable lid and gold foil interior. At an additional cost of 15$CAD.